With the IFMAR World Championship at the center of attention, local racing should have slowed the last few weeks. 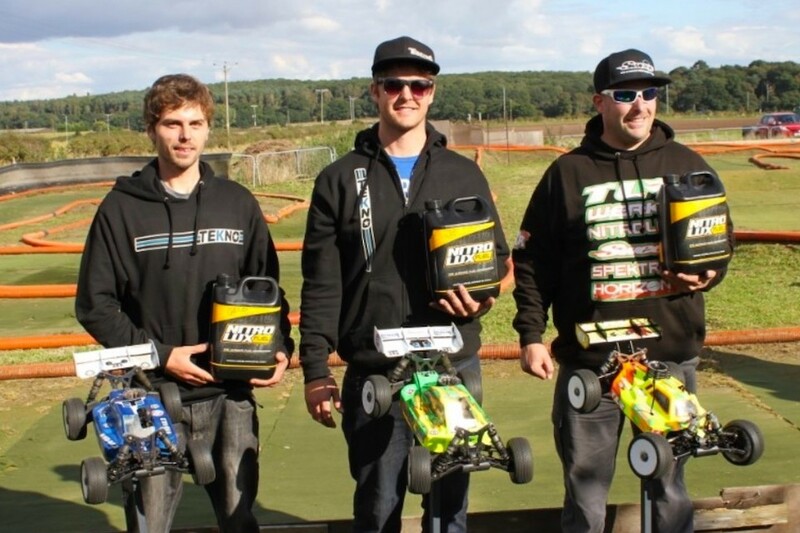 However, this was not the case as Tekno RC team drivers continued winning around the globe! “This past weekend the last round of the Northern Nitro Challenge (NNC) was held at Pendang, Kedah. Tekno RC team drivers Danny K and Kent Sung made the trip to fight for the title. It was the first race at this track for us, so we had a lot to learn. Started off using the same setup as we used at MNL round 5 which worked well. With a few small tweaks, the car was fast, stable and perfect for the track. Sunday morning had some rain, so this delayed the start of the event. As soon as the weather improved and the rain stopped, racing started. Danny K TQed the two first qualifying rounds, giving him the overall TQ of the day. 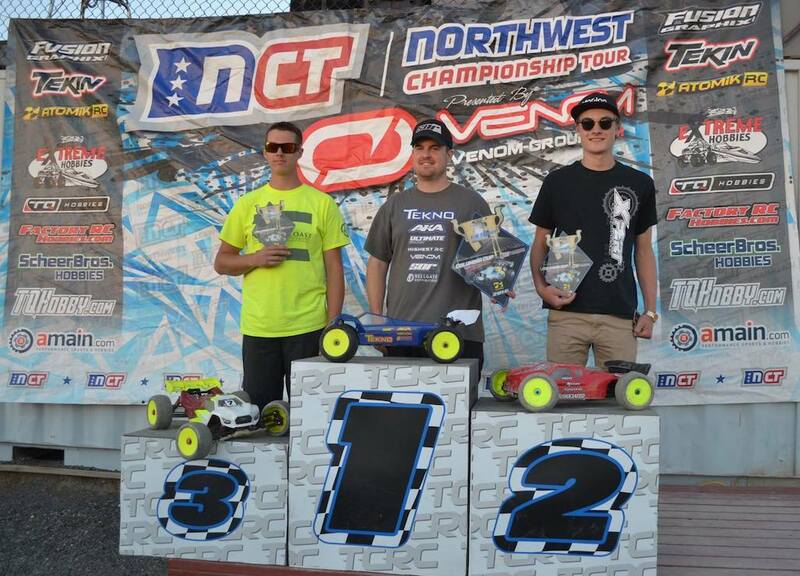 At the end of the A-Main, he managed to finish first, also getting the overall 2016 NNC Champion title!" 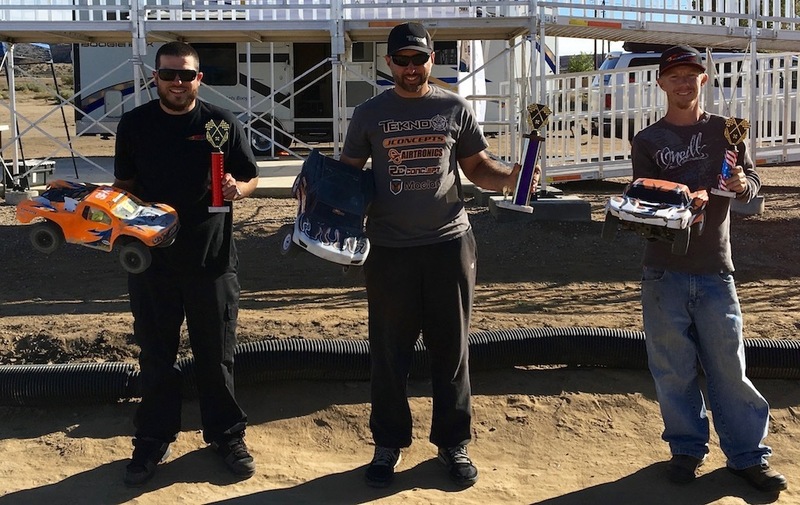 "I made the 3+ hour drive up north to Farmington, NM to support some friends of mine who started a new club, built a new track, and invited me up to their first Trophy Race. Because they are just starting out, turnout for the race was small, but they were very welcoming, ran a great race program, and we all had a great time. Thanks to Chris Bethel and Jeff Thomas for all of their hard work starting this new track. I believe their club will grow and the Fall Brawl will get bigger and bigger every year!! 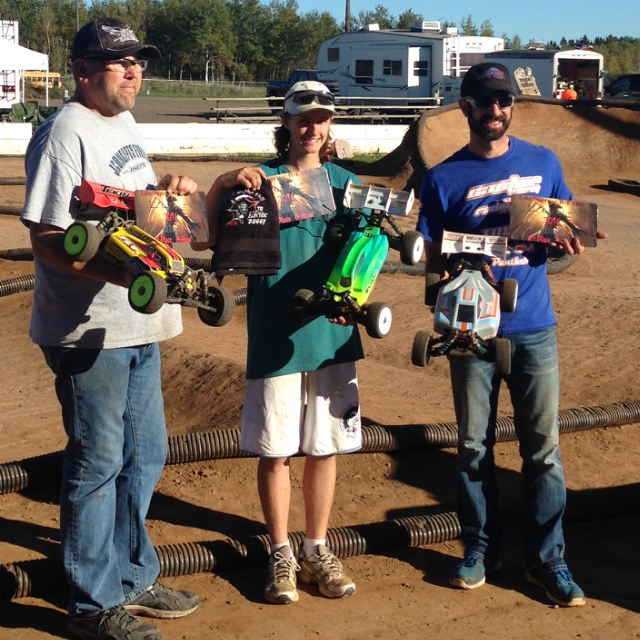 I was able to TQ and win both 4wd Short Course (SCT410.3) and Nitro Truggy (NT48.3). One of the locals was having a hard time keeping his truck together, so I let him drive my son's SCT410. He loved the truck and ended up finishing on the podium in 3rd!!!" "This weekend saw the 1st round of the highly anticipated Astro Winter Series (AWS) which see's drivers from across the UK attending. The first round was held at the home club, of series organiser Chris Jeffries, Deerdale. The format for the day was 1 round of practice followed by 3 rounds of qualifying and 15 minute finals for all. The weather started off cold and overnight rain had left the track damp but by the first round of qualifying the track was dry and the sun was shining. In nitro buggy we had team drivers Mike Lightfoot, Carlo De Marco, Matt Bridge, Steve Collinson, Wes Jolly and Mick Butler all flying the flag and in E Buggy we had Daniel Austin, Steven Bond, Chaz Blake and the welcome return of Richard Metcalfe after taking a summer sabbatical shooting guns! 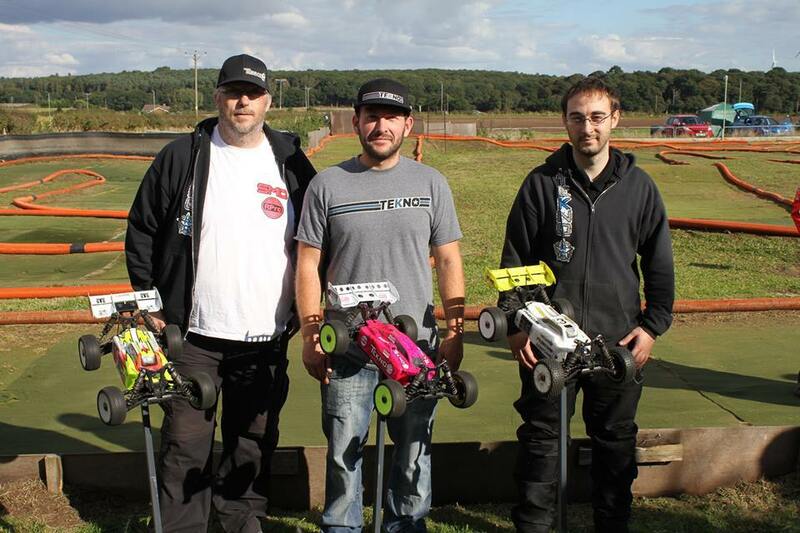 E Buggy qualifying also went well with Dan Austin taking TQ in every round of qualifying and overall TQ with Richard Metcalfe qualifying an excellent 2nd on his return, Steven Bond qualifying 3rd and Chaz Blake in 8th. Finals time! With the AWS being a winter series and the hours of daylight reducing, the finals are ony 15 minutes making it an easy 1 stop pit strategy for all. Wes Jolly, as expected, bumped out the bottom final easily to join Mick Butler and Steve Collinson in the B final. Mick Butler drove a great final keeping the buggy on its wheels in the high grip conditions and took the win in the B final and getting the bump into the A main meaning we had 4 Tekno's representing in the A Main. Awesome! Steve Collinson drove a steady final and managed to finish an excellent 6th position, BEATING WES JOLLY, (there you go Steve) who had unfortunately suffered another engine cut with 2 minutes to go after running in the bump up positions. The E Buggy A Main saw Daniel Austin get a decent start and manage to build up a reasonable lead but then a mistake brought fellow teammates Richard Metcalfe and Steven Bond back into contention. Daniel managed to pull a gap again with a hard chasing Steven Bond putting in some quick laps behind. In the end Daniel took the win with Steven Bond taking 2nd place and Richard Metcalfe in 3rd. Tekno 1/2/3!!! Chaz Blake managed to maintain his starting position and come home 3rd. Time for the Main event! 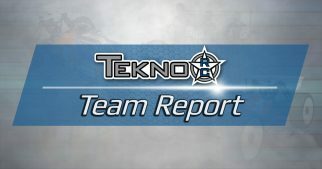 The Nitro A Main was up next, and expectations from the Tekno camp were high with Carlo De Marco and Mike Lightfoot both in with a chance of taking the win or at least a podium finish. A good start to the final saw the top 4 drivers break a small gap over the rest of the field and made for some close, exciting racing. John Holmes led the way and built a small gap until a tiny wobble bought Carlo De Marco back to within a second with Mike Lightfoot and Kyle Boon close behind. A mistake from Carlo then allowed Mike and Kyle through. At lap 10 John Holmes suffered a technical issue causing him to retire from the race leaving Mike Lightfoot in the lead with a decent gap over the battle, for now, 2nd and 3rd between Kyle Boon and Carlo De Marco. Carlo managed to pass the super fast Kyle shortly after and after a few mistakes from Kyle built up a decent 6-8 second gap. Meanwhile, Mike was out front putting in super consistent fast laps and looking really comfortable. With just three laps to go Kyle Boon would suffer an unfortunate servo horn issue, I think putting an end to his final and certain podium finish. This would bring Dennis Holding and Kong Mckenzie into contention for the final podium place and were have a great battle between themselves. In the end, Kong would win the battle taking an excellent 3rd place finish with Carlo De Marco taking 2nd and Mike Lightfoot taking the win! 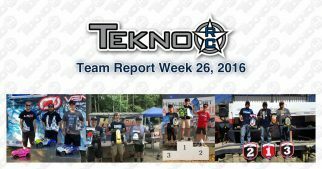 Awesome job from our guys getting the top 2 podium spots for Tekno in only their 2nd season of racing! Matt Bridge moved up from 9th on the grid to take an excellent 7th place and Mick Butler took 9th from 11th on the grid. Massive thank you to all our drivers for your support and showcasing just how good the Tekno brand is. Once again we had no breakages or failures on any of the cars. Big thanks to Chris Jeffries for running the event once again and looking forward to the next round at Nene Valley Raceway. See you all there. 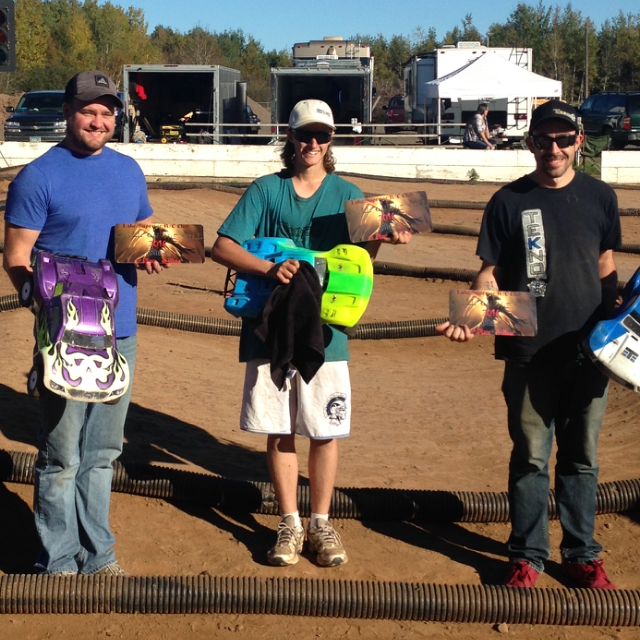 "Ran three qualifiers on Saturday, the second was my quick round of all three. TQ'd all three classes- E-Buggy, Nitro Buggy, and, Pro-4. Won the E-buggy final and had a great battle with Allan Smith in Pro-4. Ran decent in Nitro buggy but the breaks went away and made it hard to drive so I ended up taking third. Overall a great weekend." "Saturday, Keith Panico and I traveled to New Florence, Pa. for the FTM Grip PA State Championship at WOCRC promoted by Jeremy McGuigan. Practice went well; my Tekno ET48.3 was dialed. In the first qualifier, my steering servo fried. Second and third qualifiers went okay but I knew I could do better. Starting 4th in the main, I quickly moved up to 2nd on the first lap. Lap 4 I made the pass for the lead, and I would hold it the rest of the race. Getting the win in the second biggest class of the weekend put a smile on my face, and that is what RC is all about, just keep it fun, and the results will come! Like to thank Tekno RC for everything they do for me and keeping me out front!" Jeremy McGuigan was on rails with his truck at this track, but there was a lot of local talent there with the top 5 drivers separated by 3 seconds! He ended up with the TQ and in the main would get out to a good lead and hold it!" “ We arrived at the track on Friday around noon for some practice laps at the 3StonePark in Kuala Lumpur Malaysia. It would be my first race at that track, so I had to do my best to set up my car properly but also to learn the track as fast as possible. After a successful practice day at the track with the rest of the Tekno RC team, I rebuilt my car and made sure everything was ready for Saturday, which would be the qualifying day for the race. During qualifying, I managed to qualify 3rd overall which was pretty good for my first race at the track but getting the win was my goal. 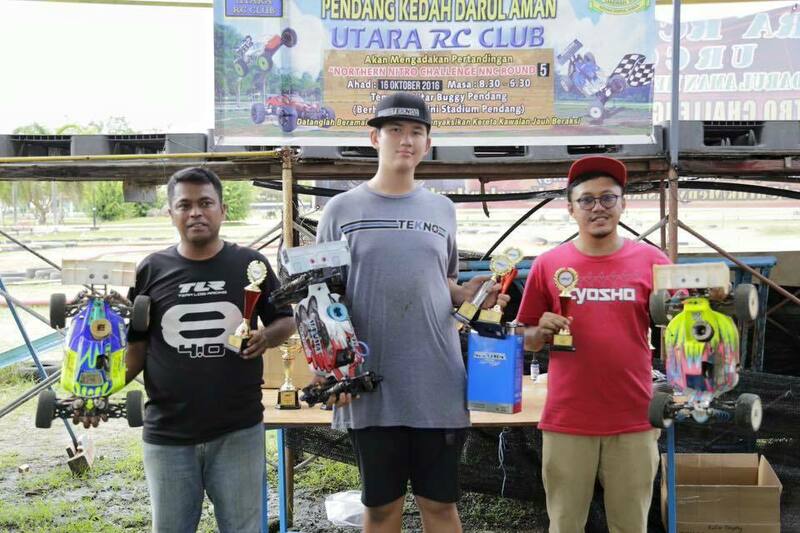 Danny K my Malaysian teammate managed to TQ the race, so this made it successful qualifying for Tekno RC team. Sunday was the mains day, after semis, I would start in pole position which gave me a bit of an advantage to get the win. After the 60 minutes long A-main final I managed to get the win, lapping the entire field by three laps, my NB48.3 felt awesome throughout the race! 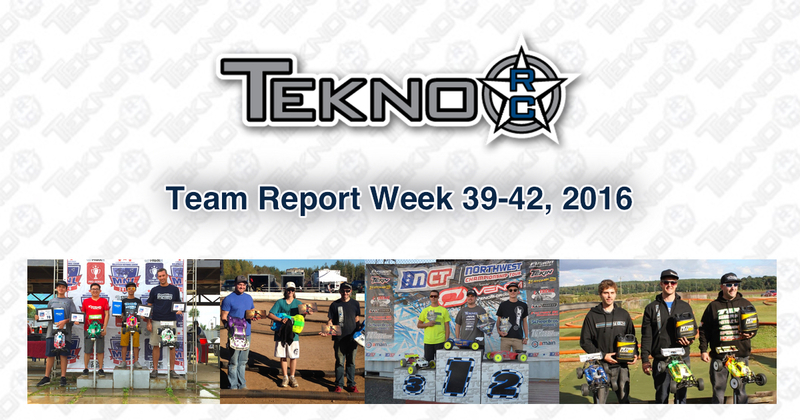 Thanks to Tekno RC for making this trip possible!" 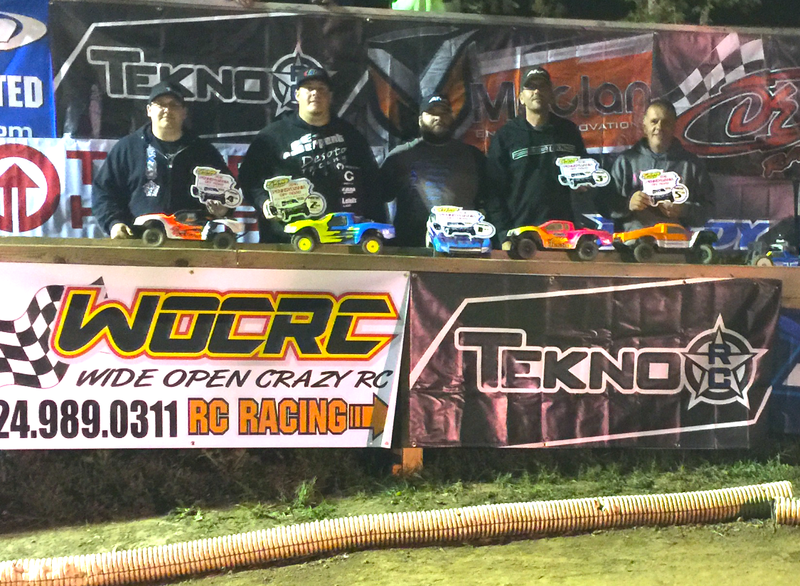 "The final round of the 2016 Northwest Championship Tour, the Columbia Cup, was held at the big outdoor clay track of TCRC in Pasco, Washington. They built a great track that flowed well, stayed consistent, and provided really close racing. The NCT utilizes a format that consists of controlled practice on Friday, three rounds of qualifying on Saturday and main events on Sunday. Mother Nature wasn’t willing to work with us, however, with heavy rains throughout Saturday limiting run time. The TCRC crew and NCT Director Justin Wilde worked tirelessly throughout the day to try to keep the track in racing condition and in the end we still got two rounds of qualifying in. Hats off to everyone involved, I was impressed that we still got to race. Running Etruggy for the first time was great. 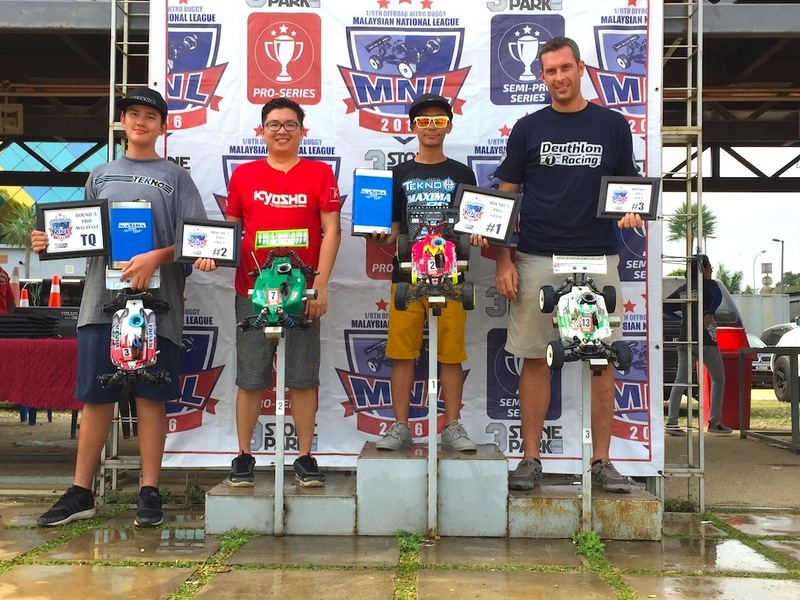 I was able to TQ qualifying on Saturday and take the wins in both A1 and A2 to wrap up the overall win for the weekend! The truck was really good, looking forward to running it more in the future."